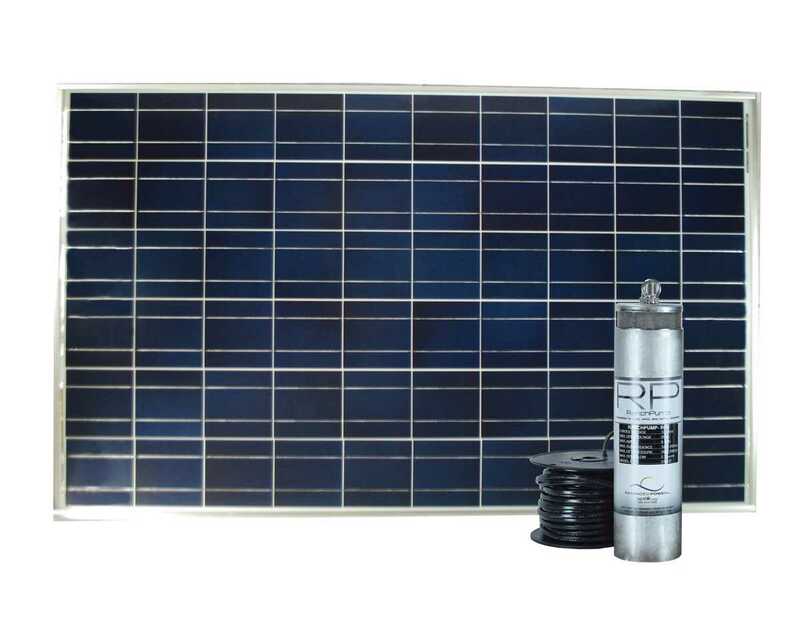 The N-series API systems are similar in strength, durability, and production as the other complete solar systems, but are recognized as having more efficiency that complies with NRCS, the government’s conservation standards. 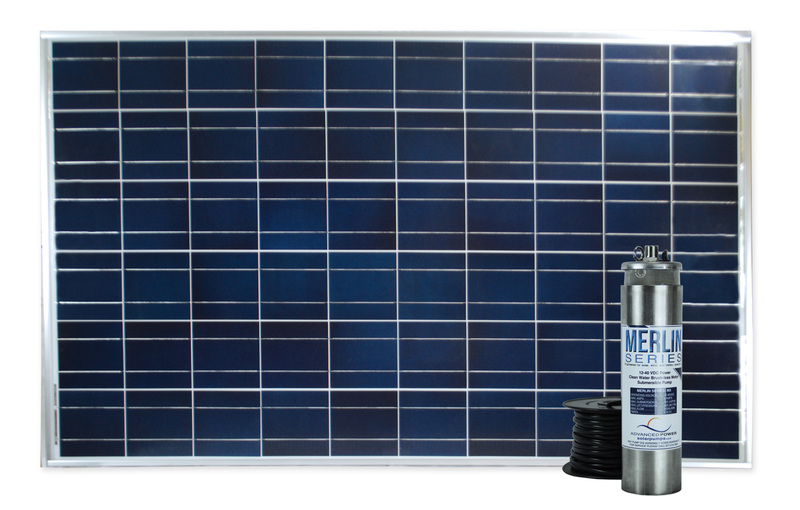 This N250RP4 solar pump will produce more water and lengthen the pumping day, even during cloudy or reduced sunlight days. This is due to having 30% more power than the K170 or K255 systems, allowing for earlier pumping and longer runs at max GPM. 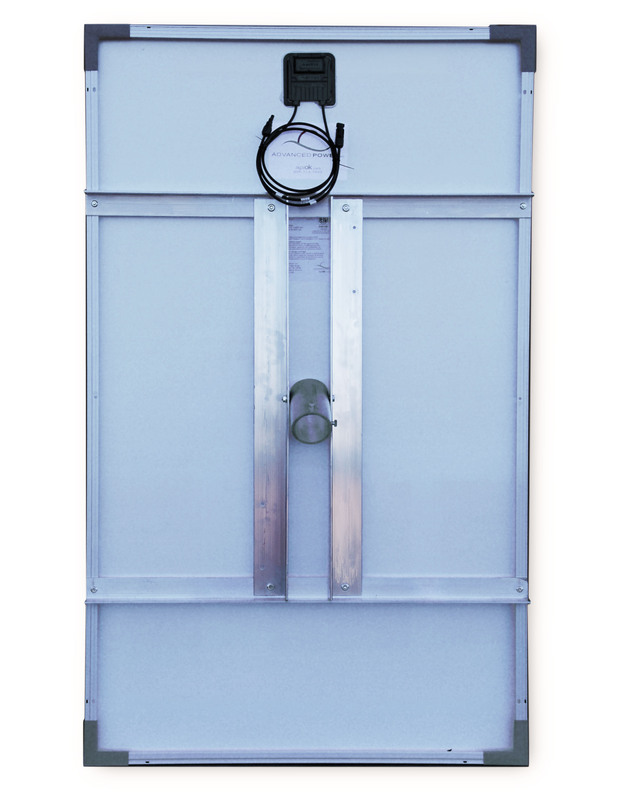 Deliver up to 1800 gallons per day at 3.3 GPM maximum, based on a 9-hour run time. Long life brushless motor RanchPump4 with 100’ of wire and a 3-year warranty. 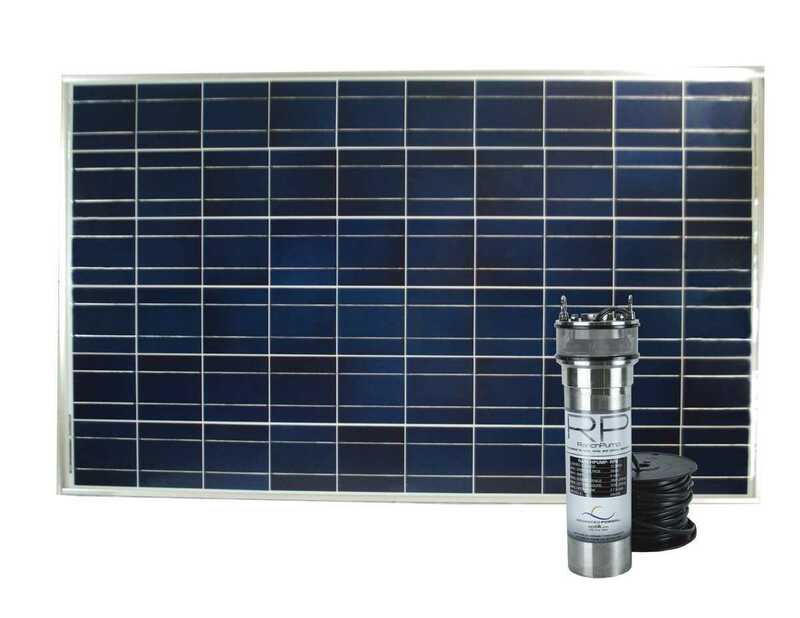 (1) RanchPump4: 12-40 VDC Aluminum submersible quad piston brushless motor solar pump comes with 100’ of attached wire. Includes a 5-year manufacturer’s warranty (with registration / 2-year warranty + 1-year additional pro-rated). 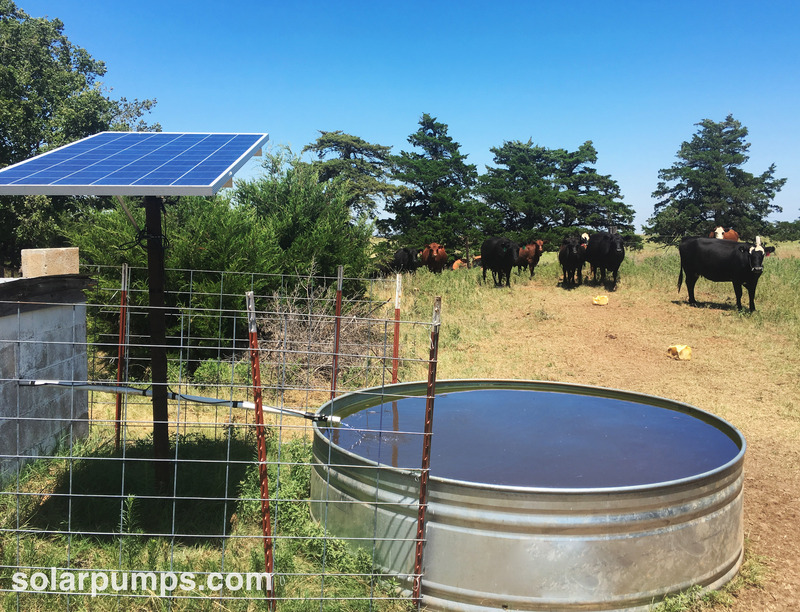 RP4 pumps require a 5” or larger well casing. Flows decrease as depth and pressure increases to maximum depth of 100 feet (43 PSI).